Joseph Roberts: You wrote The Bubble and Beyond before the 2008 financial crash happened. 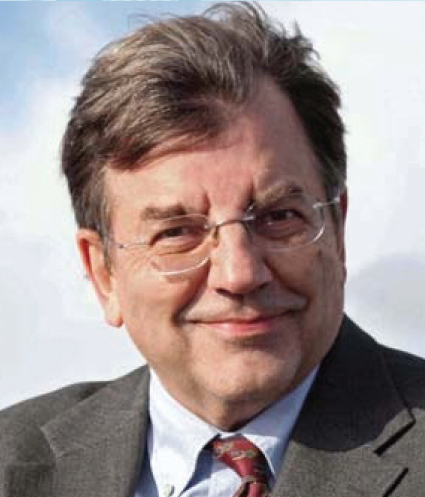 Michael Hudson: [There were] articles I’d written since about 2004, basically, and I hadn’t yet put it all together in a book. I’d submitted a book to a number of publishers, The Fictitious Economy, forecasting there was going to be a crash in 2008. One year before at Harper’s, I published all the charts based on this book, showing exactly why it was going to happen. Then it happened right on schedule. JR: What causes bubbles like that? MH: Debt. The reason bubbles burst is that they’re financed by debt. People will lend more and more and more against real estate or companies and the cost of servicing this debt, the interest and amortization, exceeds the cash flow, the profit or income that’s being earned, and there’s a break in the chain of payments. The tendency of debt in every economy is to grow exponentially. Every interest rate is a doubling time. It can be thought of as that. And the debts grow independently of the economy. When debts grow faster than the economy’s ability to pay, there’s a crash. That’s why the booms, the build-up and expansion of a business cycle are rather slow, but the crash comes very quickly. So it’s really not a cycle at all. It’s not like Schumpeter described in his book on business cycles: a very smooth sine curve. It’s a ratchet effect. They’ll pay all of the increased rental value to the bank as interest because they’re hoping for a capital gain, because that’s where the action has been for the last 50 years in the US. Not income. Most people have got rich, not by saving their earnings, but they’ve got rich by the capital gain, which includes middle class families that got rich, not by saving their wages, but by their house appreciating. JR: Why did Wall Street get bailed out in 2008 rather than Main Street? The US House and the Senate first initially rejected the bail-out. What happened after their first vote? MH: A lot of pressure was put on the Republicans to say, “Wait a minute, most of your campaign contributions come from the financial sector, the FIRE sector: Finance, Insurance and Real Estate. Who are you going to be for, the voters or your campaign contributors?” And the politicians said, “Our campaign contributors. They’re our constituency.” Or, as Hillary Clinton’s people called them, “the donor class” – the large financial firms and monopoly real estate investors. So President Obama, essentially influenced by his mentor Wall Streeter Robert Rubin, decided to save the banks, not the economy. JR: Vancouver, Toronto and other Canadian cities have these huge, expensive bank towers housing the Royal, TD, Montreal and Scotia banks, other financial corporate palaces and now even Trump Towers. But for the majority of people, there is a housing crisis. Housing has drastically changed. 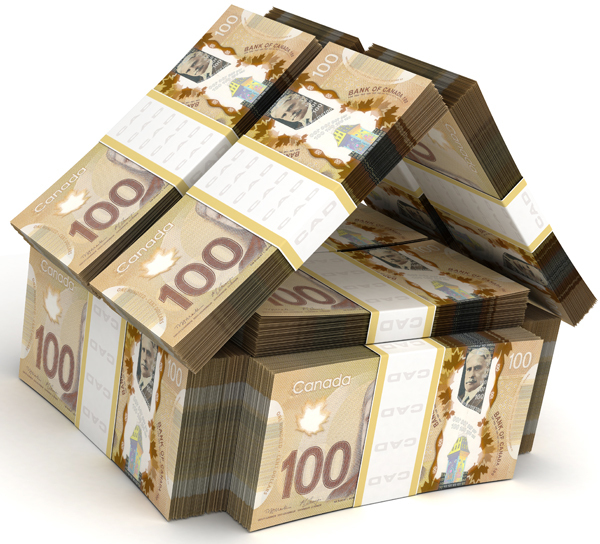 In 1957, my parents bought a brand-new, two-story, three-bedroom home in Coquitlam for $13,000. It had a big back yard where we put in apple trees, a large front yard and a double car garage. Within three years, my parents had it paid off. They both worked; my dad was a machinist and my mother a schoolteacher. We were a working class family. Our children can’t do that today. MH: That’s right. People think that if their grandparents and parents could somehow buy a house and it would go up in value, that would be their retirement fund. Since WWll, that’s how the middle class was essentially created. They often made more money on house appreciation in a year than they would make working for a whole year. And it’s gone up. In some cases, they made more on the house appreciation than all of their salaries for a lifetime. That’s come to an end and people don’t want to acknowledge that era is over. Already, the economy is fully loaned-up. That’s the word that Wall Street uses. “Loaned-up” means there’s no more debt it can carry. All of the surplus income that families have, over and above basic subsistence needs, is paid to the banks and the real estate sector, the FIRE sector. There’s no more leeway in the economy to grow because it’s all been pledged for debt service. The growth is over. That’s why since 2008, the US economy has been shrinking, except for the wealthiest five percent. The bottom 95% have actually shrunk. JR: Last year, the amount of capital gains in housing exceeded all of the labour combined in Vancouver. How did that occur? MH: It happened because banks are willing to lend so much more money that the bank loans bid up the price of property. Property is worth as much as a bank lends against it, and it’s true that foreign investors have come – speculators Blackstone, I’m told, from America. The hedge fund was bought here. Chinese and European investors have all been bidding up the price of commercial property and luxury buildings. JR: How does foreign debt and foreign capital affect our housing and economy? Japan once held the most US capital debt, mostly in US treasury bonds, and now it’s China. These debt-rich countries go to the US to cash in that debt. They want to buy a super-port or Standard Oil of California and the US says, “No it is not in our national interest.” How do they unload their US treasury bonds? Does Canada accept US treasury bonds from China and other countries as currency? MH: Well, yes. They’re certainly marketable and any country is willing to buy treasury bonds at pretty much the market price. Maybe a teeny margin below. The US, as Obama said, is the “exceptional country.” What does that mean? That means we don’t have to obey international law. International law is for other people. We’re the exception to international law. We’re the only country in the world that doesn’t have to obey international law. JR: If a country doesn’t play along with the US empire, the empire strikes back. MH: Yes. As it did in Chile. JR: America has a list of countries that won’t comply to their unipolar world currency. Would it make sense to have more than one international currency system in the world? MH: That is happening. That would be called a ‘multi-polar world’ and that’s exactly what countries out of the US are saying. That’s why China and Russia are moving closer together. They have a bank clearing system to replace the American/European bank clearing system to clear bank transfers in case the US says they will wreck their banking economy by unplugging them electronically from SWIFT system (Society for Worldwide Interbank Financial Telecommunication). They’re having their own systems. Other countries are having to protect themselves by withdrawing from the globalization order. That’s exactly why you have Brexit in England. The French election debated this. And north Italy parties are threatening to withdraw from the Euro Zone. The most active people supporting withdrawal from the Euro are the Portuguese because so many Portuguese are having to emigrate to Brazil where they speak the same language. Spain. And of course Greece. So America, in being the “exceptional country,” with its double standard, says, “If you don’t do what we tell you, we’re going to treat you like we treated Gaddafi or Saddam or Assad.” Other people can say we want to decouple as quickly as we can. Globalization really means a US double standard of military, economic and financial control while other countries are trying to survive because, for them, this is really a new feudalism. JR: So what’s different today from 30, 40 or 50 years ago in terms of the housing situation? MH: Well, here’s the issue. Vancouver is part of a naturally rich British Columbia territory. It’s well situated geographically. Who is all this natural wealth going to benefit? Is it going to benefit the citizens who live in Vancouver or are they going to let one percent of the population – the political insiders, the real estate developers and bankers – siphon all of this rising property and rental value of real estate, just take it for themselves and shift the tax burden on to the wage earners and the businesses? That’s what’s happening now. The fact is that if Vancouver acted in the way that Adam Smith, John Stuart Mill and the classical economists urged, they would say, “Look, all this rising land value should be in the tax base.” Suppose this vast amount – really, I think a trillion dollars by now over the last decade of increased land value – suppose that instead of leaving it to landlords to be paid out as interest to the banks, this had been the tax base. Vancouver could’ve supplied public services freely. It could have free transportation, free schooling. There’s no need for Vancouver to have a sales tax. There’s no need for it to have an income tax because these taxes raise the cost of living and, therefore, raise the cost of doing business. When Vancouver lets the real estate developers and the banks benefit from all this rise in the price of land that increases the cost of living to new buyers, that means you’re priced out of the market. In order to get a job in Vancouver and live here, you have to earn over $100,000 a year. In other parts of the world, people are able to do the same job for much less because they haven’t had a real estate boom. So it turns out the real estate boom that people think is a sign of prosperity and wealth is actually impoverishing Vancouver by driving it into debt. In order to buy into the real estate boom, new buyers have to take on an enormous new debt and the result will leave Vancouver debt strapped. JR: People are pressured into playing the game. MH: They really believe it’s still possible to get rich by going into debt, and for 50 years after WWll ended in 1945, that was the case. You could buy a house and as the economy got richer, the value of the house would go up and cities built more parks and schools and urban amenities. The value would go up, but all of that has now reached a limit. When I first went to work on Wall Street, with the Citizens Savings Bank And Trust Company, basically banks would lend mortgages only if the cost of servicing a mortgage absorbed 25% of their income. If the mortgage costs were more than a quarter of your income, the bank would say, “Sorry, you can’t afford it.” Well, now in the US, almost all residential mortgages below super castles are government-guaranteed up to 43% of the wage earner’s income, of the borrower’s income. Now, just imagine if you have to pay 43% of your income for a mortgage or for rent. In NYC, it’s common to pay 40% of your income for rent. You may also have to pay another 10% of your income for other debt – credit card, student loan, auto debts. There’s about a 15% automatic wage withholding for a very regressive social security tax and a healthcare tax. Then about 10-15% more regular income taxes and sales taxes. People don’t realize that only about 25-30% of the average family budget in America can be spent on goods and services. So how is the economy going to afford to buy what it produces? It can’t. Most people in NYC cannot afford to go out and eat in restaurants anymore so all over the city restaurants are closing down. In fact, all over the US. In March, it was announced that corporate and business bankruptcies are way, way up. The trend is for bankruptcies. The Barnes and Noble where I live in New York has gone out of business. The bookstores I used to know are all out of business. Near NY University, on 8th Street, the main street, which used to be the street for bookstores and other big shopping, half of the storefronts are all boarded up, for rent, empty, going out of business. And in Vancouver, the first day I was here, we walked down a big major street with wonderful art galleries going out of business. Other stores for rent, going out of business. Other buildings obviously had just been renovated, empty, nobody in them. So the effect is to empty out Vancouver. JR: And who profits from that? MH: Ultimately, the banks profit because most of the real estate is bought on credit. As I said, the motto of real estate investors is “rent is for paying interest.” They’ll pay all of the increased rental value to the bank as interest because they’re hoping for a capital gain because that’s where the action has been for the last 50 years in the US. Not income. Most people have got rich, not by saving their earnings, but by the capital gain, which includes middle class families that got rich by their house appreciating. That’s why groups that are left out of home ownership have missed this whole capital gain bit. So you’re having a bifurcated economy: an economy between a generation that inherits trust funds and is able to sort of live on money that their wealthy parents have made in the financial real estate sector and people who don’t inherit trust funds and are literally the disinherited. This polarization is going to widen and widen and become increasingly a political crisis. JR: The inequality gap that’s occurring is astounding. MH: And that should be what economics is all about. But if you look at all of the economic models, they’re all about equilibrium. The pretense – and this is junk economics – is that if an economy gets out of balance, automatic stabilizers return it to equilibrium. The reality is just the opposite: once an economy gets out of balance, it tends to veer further and further out of balance. Mathematicians call that hysteresis. Until there’s a crash. MH: Because they’ll get bigger and bigger and these economic crashes will be turned into political crashes. JR: Thank you so much for this insightful conversation. MH: Well, it’s been really good to be in Vancouver because I’m impressed by how many people really do understand the problems with finance and real estate. Obviously, there’s a lot of frustration in it not getting through politically. So the problem is how do they translate this economic understanding that things are out of balance into a political policy and movement that will put it back in balance? And it can be put back in balance by a combination of fiscal policy, tax policy and financial policy. But it requires an educated electorate.